for my Grand daughter's Birthday. how it turned out. So I am sharing it with you. as I have a few more items in mind. Fold The Bodice in half and line up the sleeve openings. Repeat From *to * around hem of skirt, join to 1st sc with a sl st. Tie off weave in your ends. 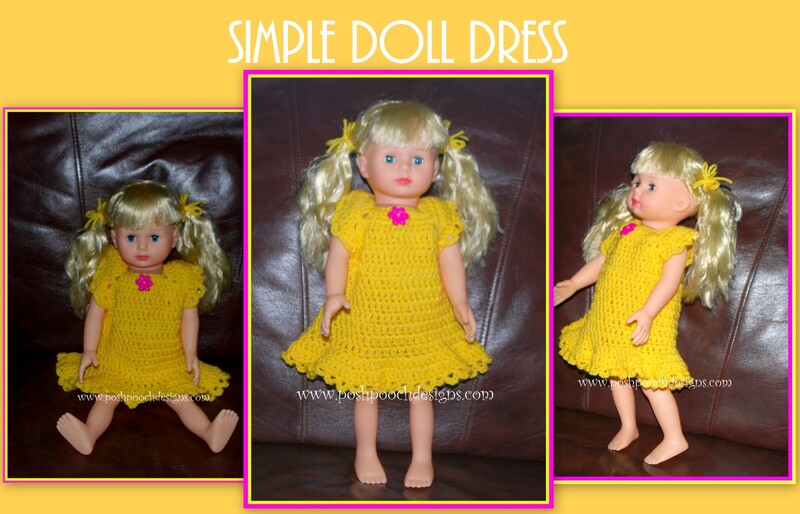 Attach a decorative button of choice to the front of the dress. Back of Dress. Ch 30 and attach the ch to one side of the top of the back of the dress. Lace it through the other side and tie a bow to keep back of dress closed. appliques, and bows for lots of different looks. 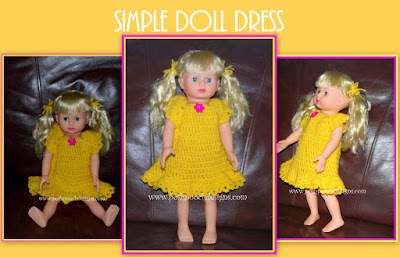 What colors will you make your doll Dress?